The rockstar lifestyle isn’t as glamorous as you’d think. It’s almost 11pm and I just took another cake out of the oven. 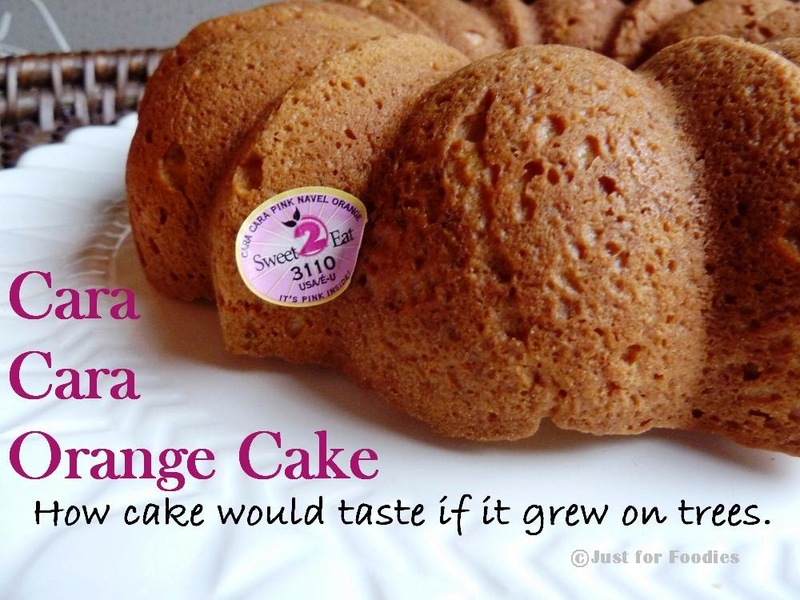 Cara Cara Orange Cake, to be exact. Two in one night. That’s got to be a record somewhere. Well, it all started earlier this morning. having a lazy breakfast of coffee, toast, flipping through a magazine, chit-chat, spying on by-passers, just hanging out. 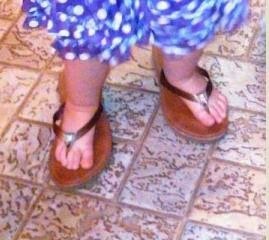 Daisy couldn’t find her sandals and decided that my flippers were way more stylin’ anyway. Watching her waddle around was better than TV. Back to my Sunset magazine and the words “Whole Orange Cake” jumped off the page. Something about tastes like marmalade, I was sold. 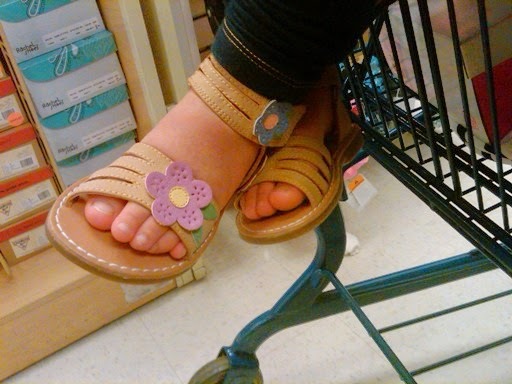 The phone rang and it was my sister, asking, “Do you want to go shoe-shopping?” Of course, I want to go shoe-shopping! I grabbed Daisy, we got dolled up and hit the road. As we got closer t o the car, I realized one of my tires was flat as a pancake. Fine, just a minor roadblock. 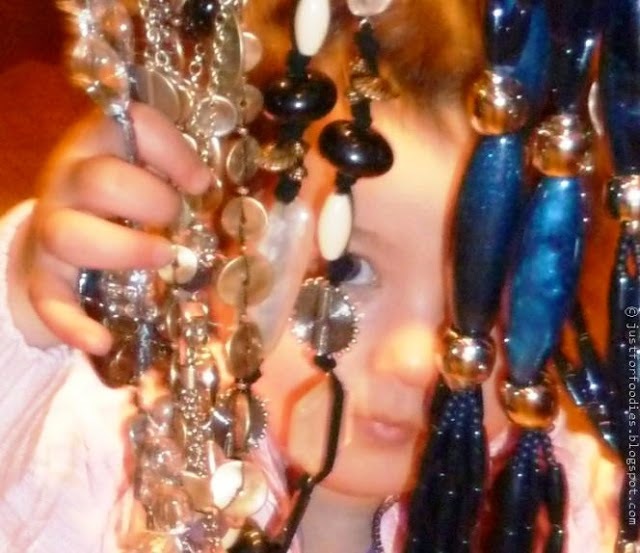 But, somehow, I convinced myself to put it back – it really didn’t have the right amount of…how-you-say bling. Shopping can be exhausting. Is blue really my colour? There really was no need to ask. All clean hands on deck! We started getting all the goods out from the pantry as my nephew read the instructions from the magazine. I learned from my grandma Nina not to waste anything, especially French butter. 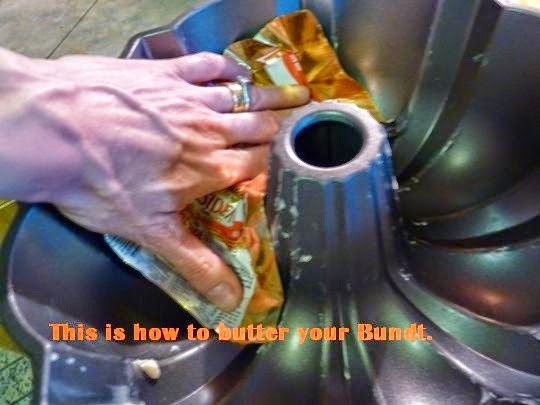 So, I showed the kids how to grease the Bundt pan using the butter wrapper. One of the best things about our house is the garden that Shawn’s built. I was pregnant when we found our orange tree. 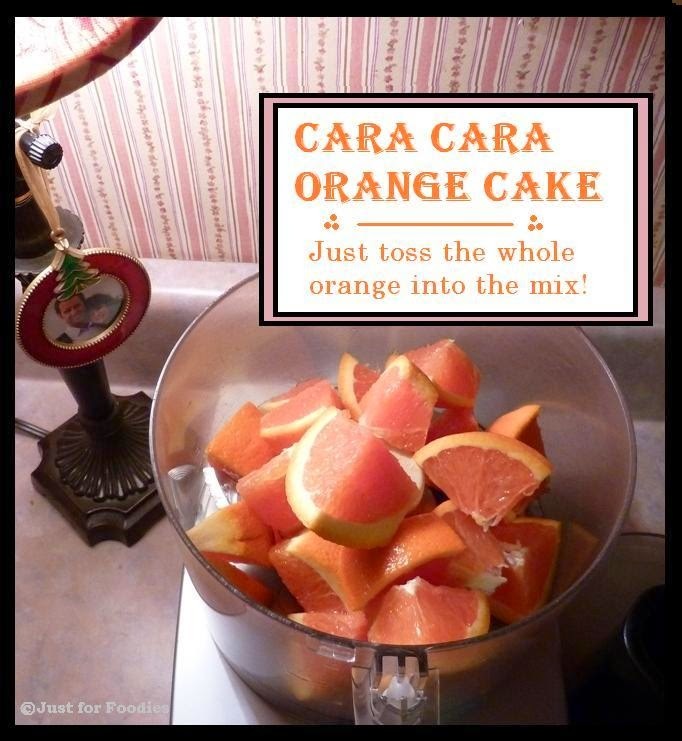 We’d never heard of Cara Cara navels before, but nothing with a name that cute could be bad. Now that I’ve had a taste, I’ve gotten really hoity-toity about my oranges. And the stuff that grows on your own tree is miles more tasty than anything your produce guy hands you. Our tree’s still very young and yields only a couple of oranges. Luckily, Cara~Caras are the latest big thing in fruit and are available almost everywhere, even CostCo. The kids didn’t seem very interested in my schpeal about the fruit. They wanted to get crackin’. So they helped wash the oranges, I chopped them into big chunks, tossed them into the food processor and they took turns giving it a whirl. We decided to take the cake batter and turn it into cupcakes. The kids took turns telling me which cup to fill and had a blast. We topped half of them with chocolate chips, because Orange & Chocolate are good buddies, don’t ya know? 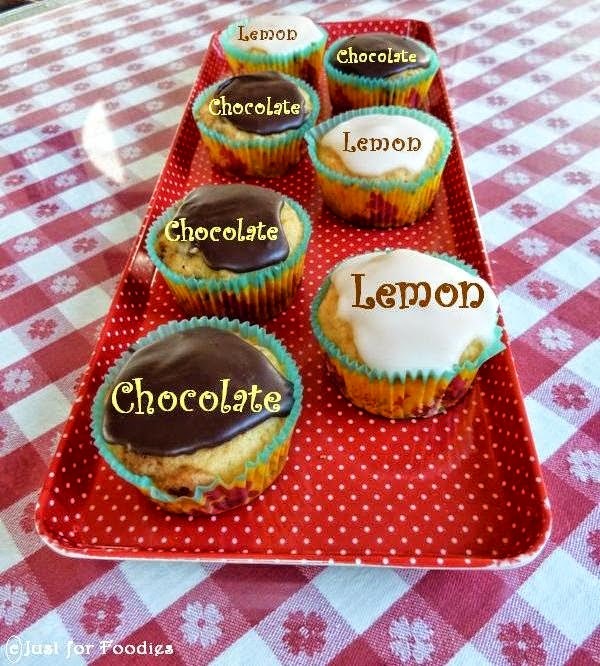 While they cooled, we made the icing, two ways: Chocolate for the chocolate chippers and lemon for the others. The Bundt cake does well as a “tuxedo,” too. After pouring the batter into the pan, sprinkle chocolate chips over half of the batter and gently push through with a toothpick. After the cake cools, ice lemon on top of one half, chocolate on the other. It looks stunning – wish I’d taken pics! While oven is heating, butter a large (8-10 cup) Bundt pan or line 2 cupcake pans with paper wrappers. 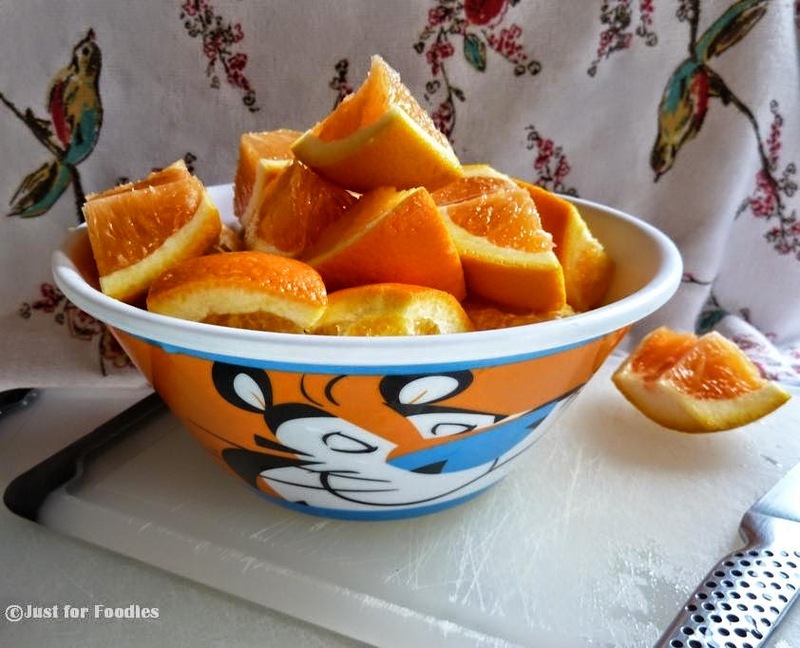 Wash oranges and dry with a clean tea towel. Slice the ends off and cut the oranges into large chunks. Toss the lot into a food processor and give it a whirl, but take care not to create a puree. You’re looking for a marmalade-like, chunky texture. Mix butter and sugar to a fluffy consistency, then work the eggs in, one at a time. Stir vanilla into the mix. In a separate bowl, combine dry ingredients and set aside. Blend 1 1/2 cups of the orange mixture into the batter. Gently add dry ingredients and mix until just incorporated. Pour into buttered Bundt pan or line cupcake cups. Do a toothpick test, allow for cooling about 10minutes, then remove from pan(s). Juice and zest a small lemon. Mix juice, zest and 1/2 cup of powdered sugar until a smooth icing forms. Dip the non-chocolate muffin tops into the lemon icing and put aside to set. 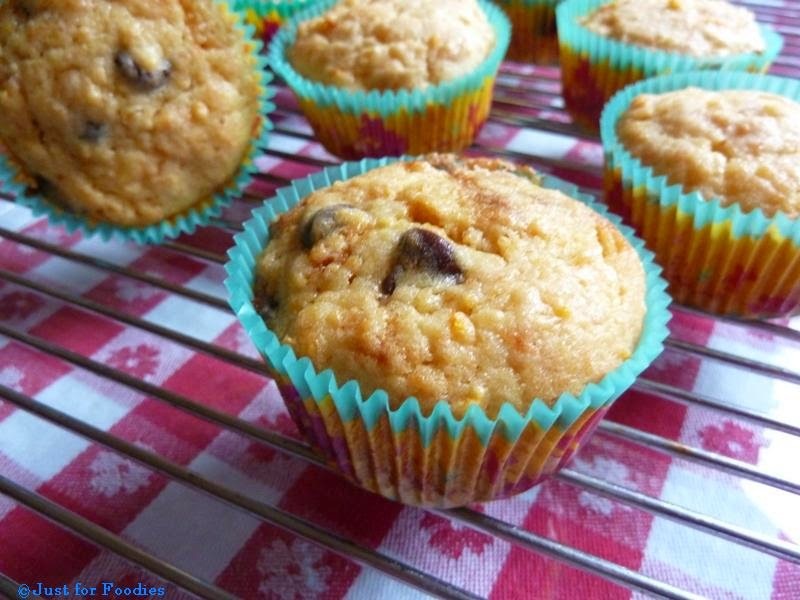 Dip the chocolate-chip muffin tops into the chocolate icing and put aside to set. The kids got to dip the cupcakes into the icing, licked their fingers and giggled. I don’t think I’ve had this much fun since I was a kid. Maybe spending time with my niece and nephew turns back the clock and I forget how old I really am. Can you blame me? Hahaa Wish I had some for you to have w your coffee. I've never heard of this, but I would love to try it. It's like a fruity pound cake. What a fun day with orangey deliciousness that danced in your head. FUN FUN FUN…and what a yummy end to a good long day! Those cupcakes cake looks delish! Thanks, D. I know you'll kick it up with a cooler fruit. Let me know! orange and chocolate are my weakness. I love the recipe. More than that I love the blog. Shoe shopping leading to baking cake is great. The pics are lovely. Baking with kids is really fun. Well it sounds amazing! I've got to try this! Thanks, Soni. Hope you try it w your kids. Yeh, Sommer. Let me know! Woo! You're so much better about following blogs lately than I am – I barely have time to remember I've got a blog! ha. I'm glad I came by again in the midst of crazy time because this cake looks delicious! I hear that my dad's favorite cake is an orange bundt cake with a chocolate drizzle that my grandma used to make him as a kid. I'll try this recipe for him soon! My dad loves chocolate with orange, too! I used to make chocolate-dipped candied orange peels for him.